Discussions between the U.S. and South Korea on deployment of a Terminal High-Altitude Area Defense (THAAD) missile system will begin as soon as this week towards deploying it “at the earliest possible date,” assuming an agreement is reached, the Department of Defense said on Monday. 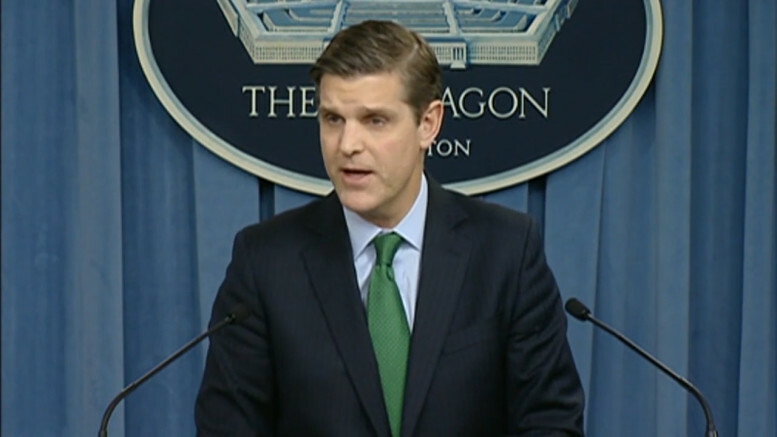 “We’d like to see this move as quickly as possible, but we’re beginning the consultations now in the coming days with the South Koreans and we expect that this will move in an expeditious fashion,” said DOD spokesman Peter Cook at a Pentagon news conference. Video of the news conference is embedded below. Cook characterized the THAAD as “an extra layer of insurance” to the missile defense system already employed on the Korean peninsula but was vague on several details, including what specific capability it would add and whether it could have been used in response to Sunday’s launch. He also went to lengths to say the THAAD was being employed entirely as a response to the threat posed by North Korea — a recognition of the opposition to the idea already coming from China. “This is a system that, as we’ve pointed out, would be focused — a defensive system put in place to deal with the threat posed by North Korea, in addition to the layered missile defense that we already have in place And so we don’t believe that it should pose any sort of concern to the Chinese,” said Cook.